When you are facing financial stress and can’t see how you are going to make it, go back to this promise. When you are feeling like you don’t have enough, go back to this promise. When you are feeling that you are not enough, go back to this promise – Jesus will not fail you, give you up or leave you without support. No never, no never, no never. Your peace does not lie in “enough” but in Christ. 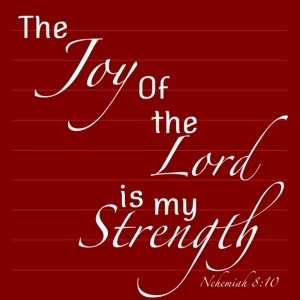 But the joy of the Lord is my strength. Have a JOY oF THe LORD filled day.